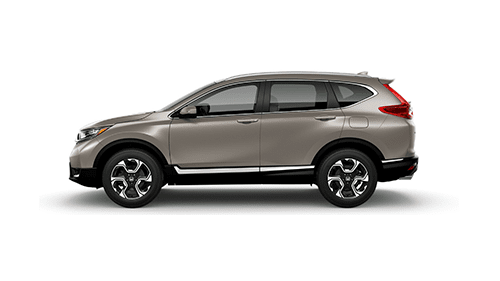 Drivers and families near Winter Haven and Brandon, Florida can find a versatile new SUV in the form of the 2018 Honda CR-V, available now at Regal Honda. The 5-passenger 2018 CR-V boasts a highly configurable cabin, complete with fold-flat 60/40 split rear seats for managing your cargo-hauling and passenger-hauling duties. This Honda packs the very latest tech amenities inside its roomy cabin, too, like a standard Multi-Angle Rearview Camera and the available Honda Sensing® system. With four trim levels offered and multiple powertrains available, the 2018 CR-V from Honda can be tailored to your driving needs and budget, so why not explore one today at Regal Honda? Our Honda sales associates are standing by, ready to assist Florida drivers in their search for a new Honda like the 2018 CR-V. We invite car and SUV shoppers near Brandon, FL to stop by our dealership in Lakeland for a test drive and tour of any one of our multitude of new Honda CR-V SUVs in stock! Make your Florida adventures even more enjoyable when you get behind the wheel of a 2018 Honda CR-V at Regal Honda. Secure a highly affordable CR-V LX base trim or a luxurious CR-V Touring model; either way, prepare to create memories in your versatile new SUV! Our Honda sales team can guide you in your search for a versatile new vehicle that can meet all your needs and wants! Shopping for a new Honda CR-V is convenient and hassle-free when you begin your search here on the Regal Honda website. You can get pre-qualified for an auto loan, see our latest Honda finance and lease offers and compare Honda models, trims and particular vehicles even before you arrive at our Lakeland, FL dealership for a test drive. Regal Honda is the Home of the Lifetime Warranty, so shop our new Honda selection today!